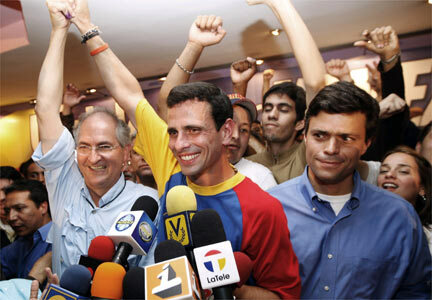 After much squabbling, the Venezuelan opposition coalition has decided to hold its presidential primary elections on February 12, 2012. While this date is three months later than a majority of opposition voters and likely candidates would like, it is a fine date for the primary. The National Electoral Council could call for presidential elections anywhere between July and December 2012. If the opposition exercises adequate planning, the selected candidate will be prepared to put up a competitive fight in national elections against current President Hugo Chávez. The date, however, is only the beginning of several major decisions facing opposition leadership in the coming days and months. In light of this, I think the opposition should seriously consider using Instant Run-Off or Approval Voting (votación multiple) in the primary election. Given that the pool of opposition presidential candidates is very large as well as diverse, it is essential that the Democratic Unity Table (Mesa de la Unidad Democrática, MUD) implement a “multiple voting” (votación multiple) system for its primary election. “Multiple voting” allows voters to select more than one candidate, thereby eliminating the natural limitations and dangers of “simple voting”. Without “multiple voting”, it is likely that the opposition primary will select the “least-worst” candidate, but not the one most qualified and most likely to beat Chávez. “Multiple voting” allows the benefits of a run-off (segunda vuelta) election without the cost of actually holding a second election. “Multiple voting” has also been endorsed by the civil society organization Súmate and Clay Shentrup of electology.org. There are essentially two “multiple voting” options: Instant Runoff Voting (IRV) and Approval Voting. IRV most closely replicates a second round election, but brings with it additional problems. Approval Voting is much simpler for the voter and easier to implement for election authorities. Each voter ranks candidates in order of preference. “1″ for my favorite candidate, “2″ for my second-favorite, etc. To calculate a winner, “1″ votes are counted first. If the winner does not receive more than 50%, “2″ votes are also counted. If the winner still does not have 50%, “3″ votes are counted. As you can see, the IRV system is somewhat complicated to understand, and shares some drawbacks with “simple voting” systems. Each voter votes for all the candidates s/he likes. The candidate receiving the most votes is the winner. Approval Voting is much more straightforward. In addition, Approval Voting has the advantage of being able to utilize existing ballots and electronic voting machines. With IRV, on the other hand, the machines would need reprogramming to read number rankings. In terms of voter preference, one can easily see how Approval Voting more closely represents the will of the people. Imagine two types of voters: 1) dedicated Capriles supporters who hate the other candidates; and 2) opposition voters who like Capriles, López and Machado equally. Approval Voting allows Voter #1 to vote for just one candidate while Voter #2 is able to vote for three. Imagine, for example, what the results of the Perú first-round presidential election would have looked like if Approval Voting had been utilized. Would Luis Castañeda, Pedro Pablo Kuczynski and Alejandro Toledo have cancelled each other out in the same fashion? Could Approval Voting have prevented Peruvians from being faced with the much-lamented Fujimori-Humala decision in the second-round? Translate that to the current crop of candidates and you can see the danger for the opposition. Imagine the candidates are Capriles, Lopez, Machado, and Ledezma. In such a diverse field, there is a real danger that the vote for young moderates is split, while the votes for the dinosaurs representing the opposition’s old guard is consolidated. In “simple voting” systems with a wide range of candidates, extremist and polarizing candidates are rewarded. With Approval Voting, consensus builders and unifying leaders are more likely to prevail. Which of these two types of leaders would best represent the Venezuelan electorate as a candidate in the 2012 presidential elections? Roberto Silvers is a US American living, working and writing about politics, democracy and culture in Caracas, Venezuela. He has a blog and a comedy news show. Follow him on Twitter.